Communications minister Faith Muthambi will showcase ICT career opportunities. Faith Muthambi, minister in the Department of Communications, will showcase the different opportunities available to young people looking to pursue a career in ICT. 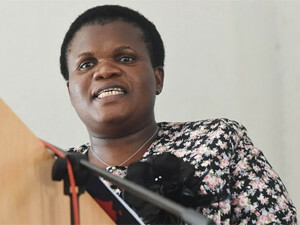 According to a statement, on 12 March, Muthambi will spend a day with learners, parents and teachers from the Moretele Local Municipality in the North West. The minister's visit comes on the back of president Jacob Zuma's call for government to prioritise policies and activities that broaden the participation of black people, women and the youth in the ICT sector, says the statement. "This is an opportunity to put into action president Zuma's vision of ensuring young people remain within the education system until they complete their studies and that they are given exposure to career opportunities within the ICT sector," Muthambi says. "ICT has played a central role in young people's rise to prominence globally. It has helped them mobilise for their own issues and collaborate within one another. It has also given them a voice where there was none before and we want to encourage that at each and every opportunity," she adds. The five entities in Muthambi's portfolio ? the Independent Communications Authority of SA, SA Broadcasting Corporation (SABC), Film and Publication Board, Media Development Agency and Brand SA ? will also be in attendance to showcase career opportunities within their respective fields. The minister's upcoming showcase of ICT careers comes amid growing calls for her to be sacked. This week, opposition parties voiced concerns over Muthambi's desirability in Cabinet in light of the way she has handled the mountain of challenges at the SABC. Muthambi has also come under fire for the way she has managed government's digital migration process and the production of set-top boxes.